Hello, my travel junkies! Welcome back to the blog. I went on my first solo trip for the year. Actually, I haven’t travelled since November *shock horror* and I started to wonder if I was still a wanderlust junkie. The answer to that is yes! Yes I am! 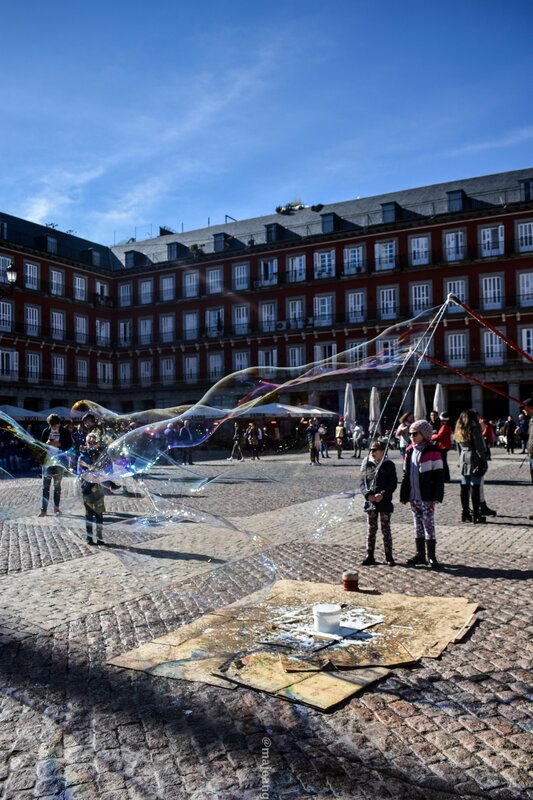 And in this post I will be sharing that trip with you and 5 reasons Madrid makes a great city break. I love travelling to far flung places like, Dubai or Bali but, if I’m short on time I keep it closer to home. There’s nothing like hopping on a flight at 10am your time and be there in time for a late lunch. Flying to Madrid from London takes about 2 hours and 25 mins. This means you can spend more time visiting the city. Next up on my list of 5 reasons Madrid makes a great city break is the food. I cannot express to you how good the food is. There’s even a seafood market called, Mercardo San Miguel which is an absolute gem. If seafood is not your thing then you can always enjoy the tapas, delicious red wine which did not trigger my migraines (go figure!). Or, you can feast on some ham. There are so many options that you’ll need to do a second trip just to eat all the good stuff! If you live in a city then taking the tube or metro is something that comes like second nature. The metro system in Madrid is so easy to navigate that you will know how to get from point A to point B without too much hassle. You will even be thrilled at how inexpensive it is to get around for 3 days. I paid under 20 euros for a 3 day pass that I could use on the metro, bus and trains. Madrid has about 59 museums which isn’t a lot considering that Moscow has about 261. However, 59 is more than sufficient if you’re on a weekend break. Also, the architecture is beautiful with a number of historical buildings either housing government ministries or, a shopping centre. Those are my 5 reasons Madrid is a great city break. What do you think? Are you convinced that you need to visit? Let me know in the comments below. As always, thank you for reading and remember to subscribe for the weekly newsletter. A 30-plus Trini lifestyle, travel and fashion blogger living in the UK trying to live her best life whilst, showing others that they can to!